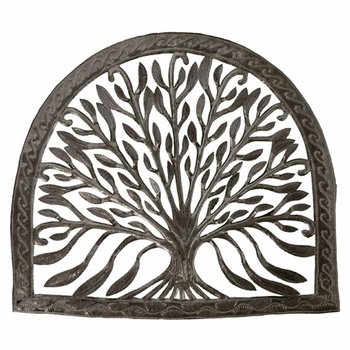 Just what you're looking for to enhance that blank space between the house and garage. 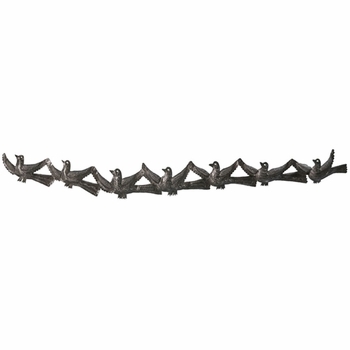 Or that vast expanse of pool fence that could be more captivating. 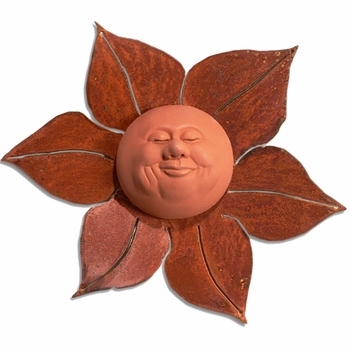 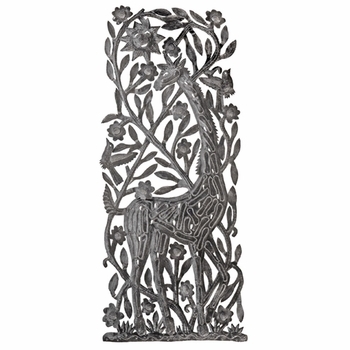 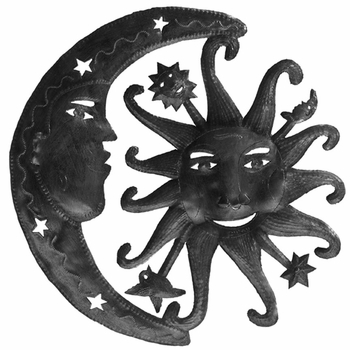 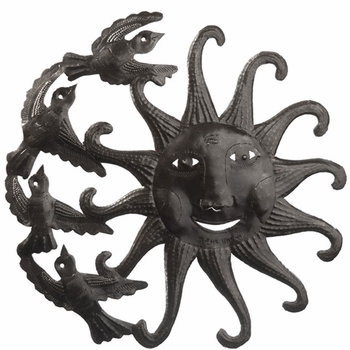 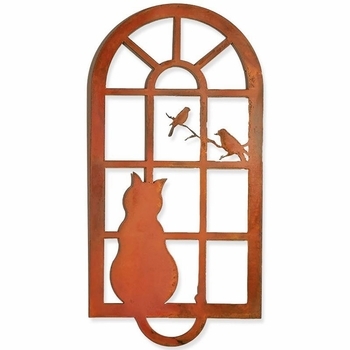 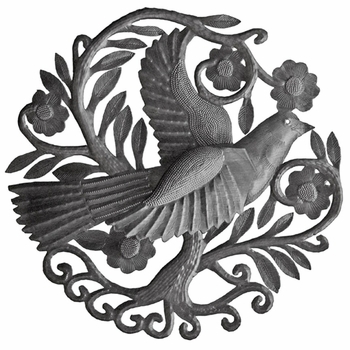 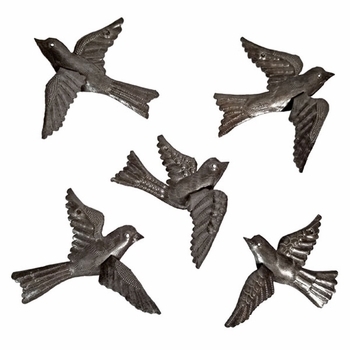 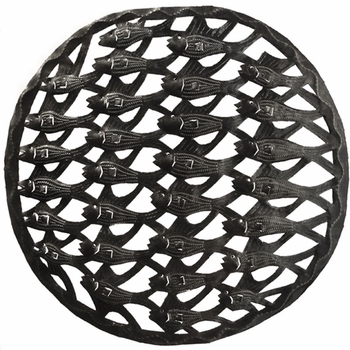 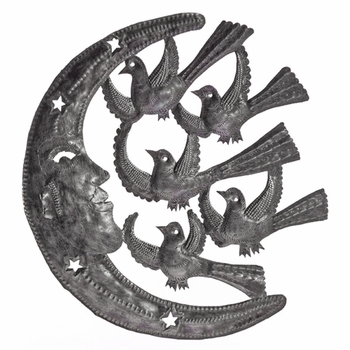 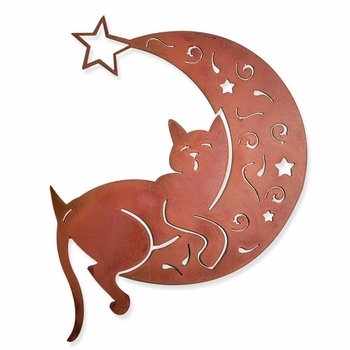 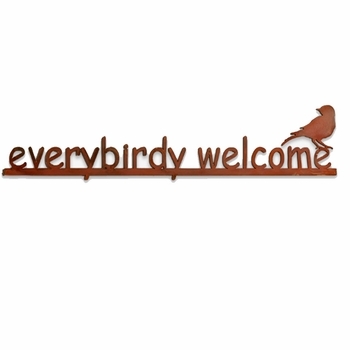 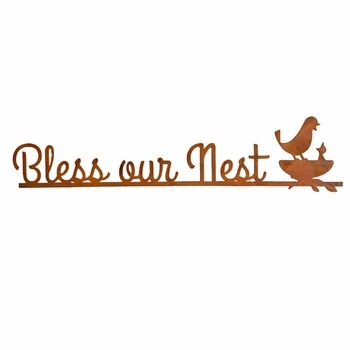 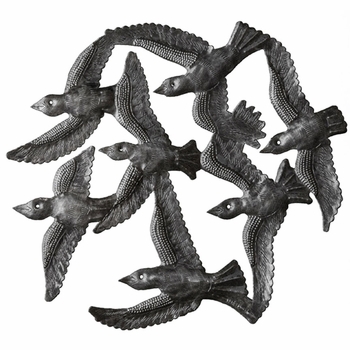 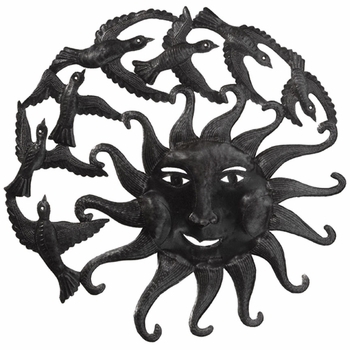 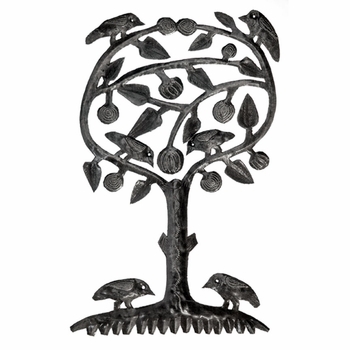 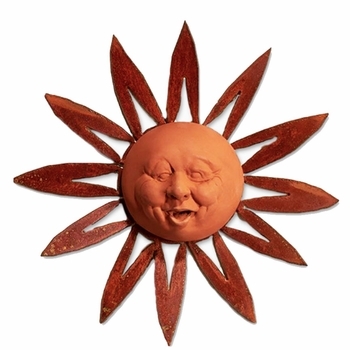 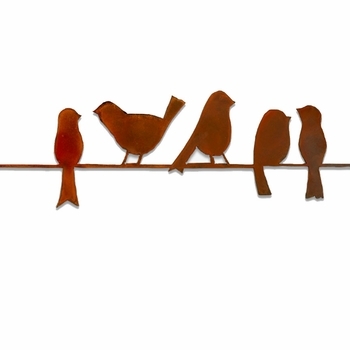 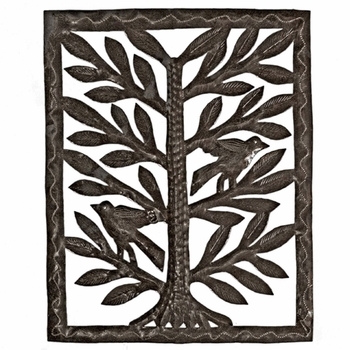 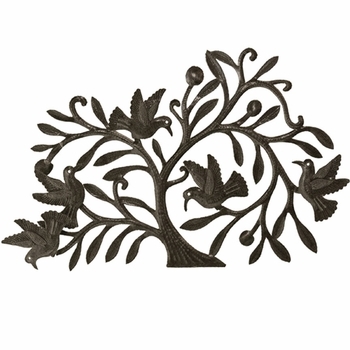 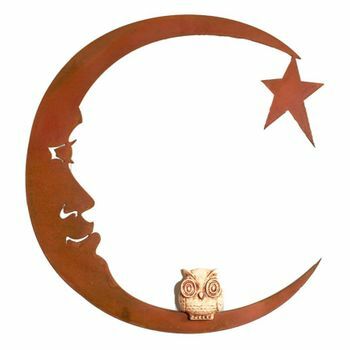 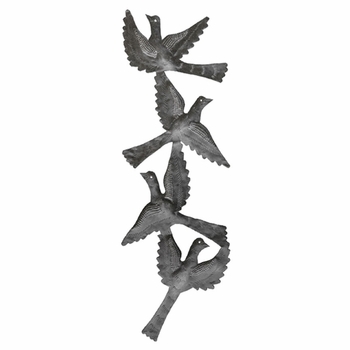 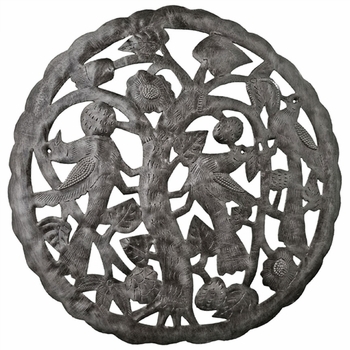 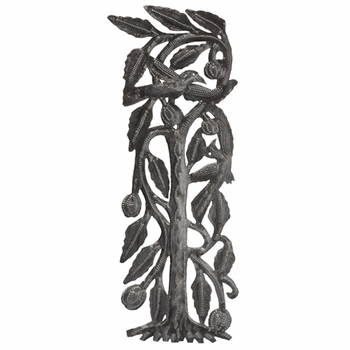 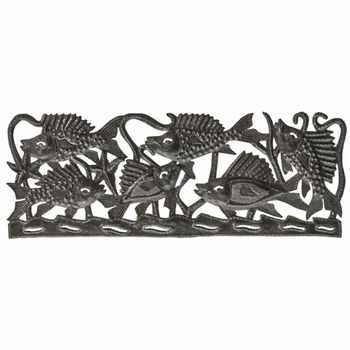 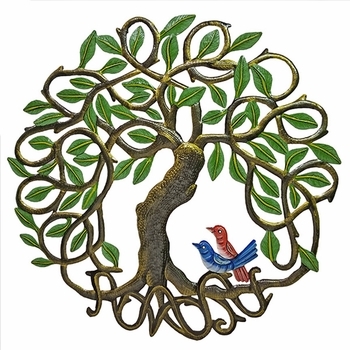 Outdoor wall decor ranges from blossoms and birds to bunnies performing the can-can. 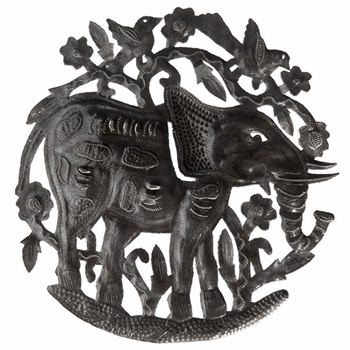 From rustic rhino heads to rising and radiant suns. 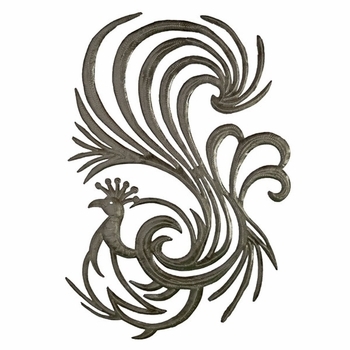 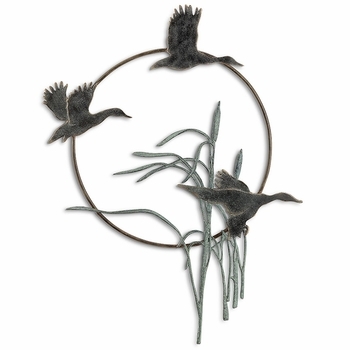 Outdoor wall decor can define the riding stables or horse barn, hold candles after sundown or exhibit your affinity for majestic water fowl. 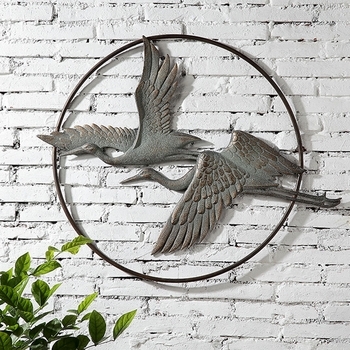 We've also provided some tips and tricks of the trade with regard to the maintenance of your outdoor wall decor. 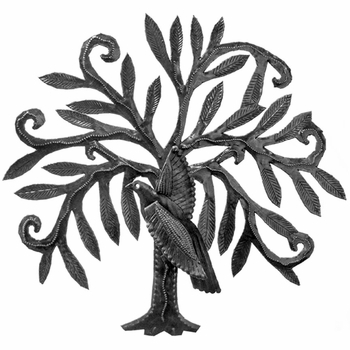 And how to choose the appropriate material for your perfect placement. 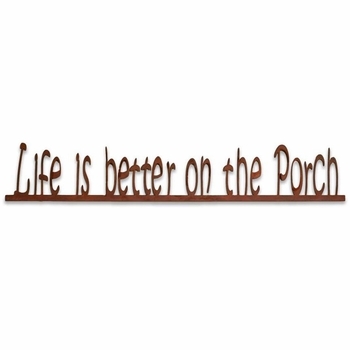 Exterior living spaces should be given the same careful attention to detail you'd give your great room or den. 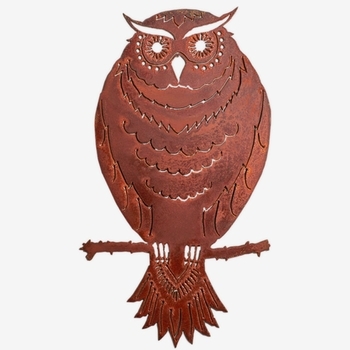 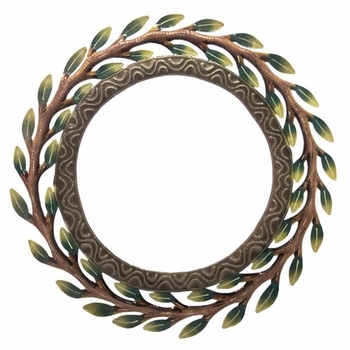 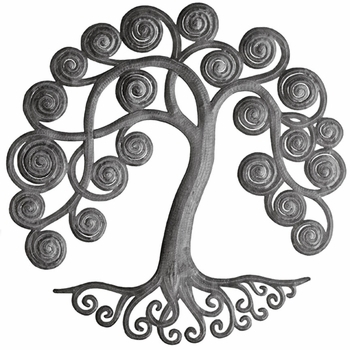 Start your quest for the best outdoor wall art here. 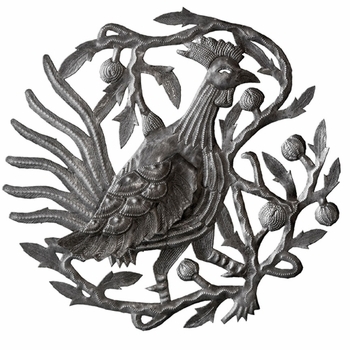 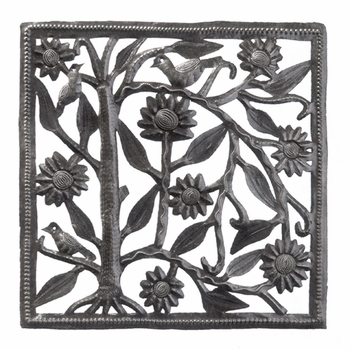 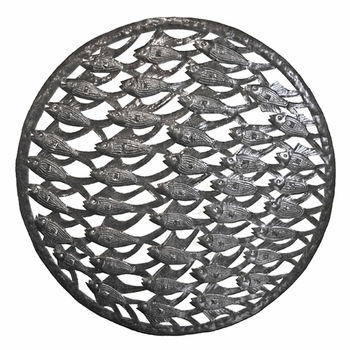 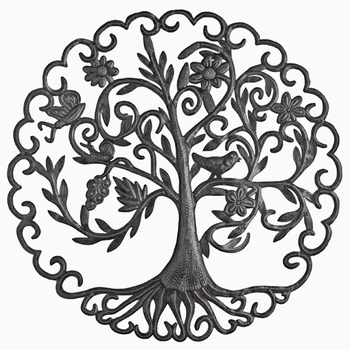 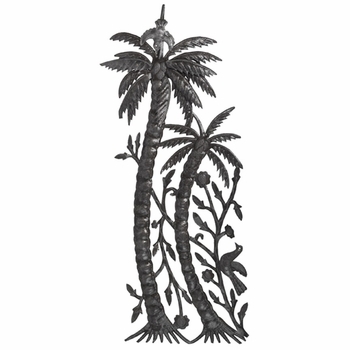 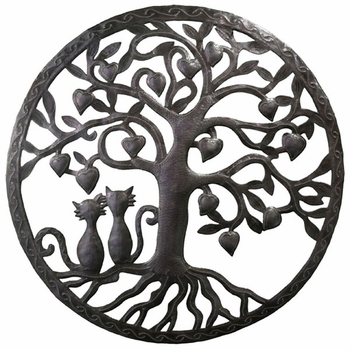 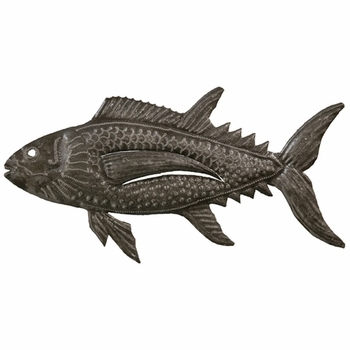 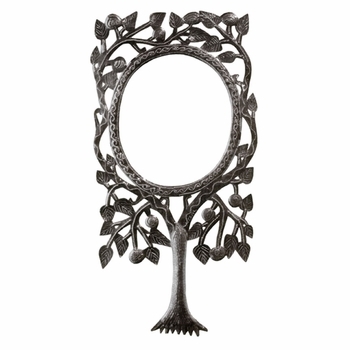 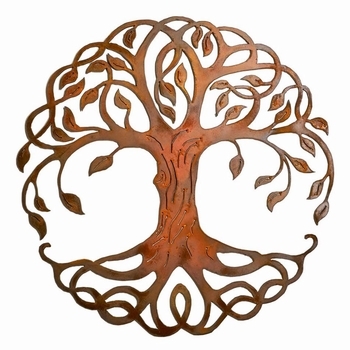 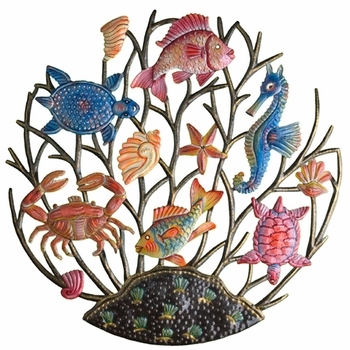 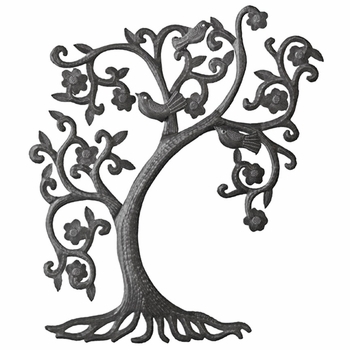 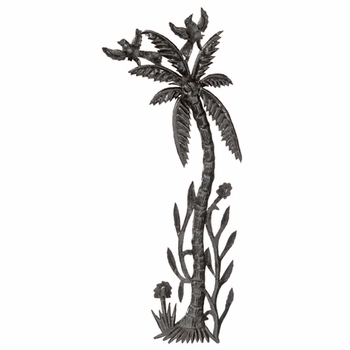 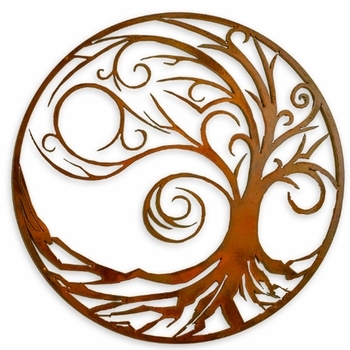 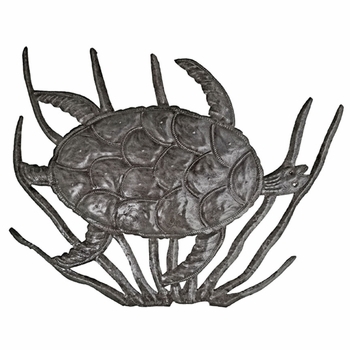 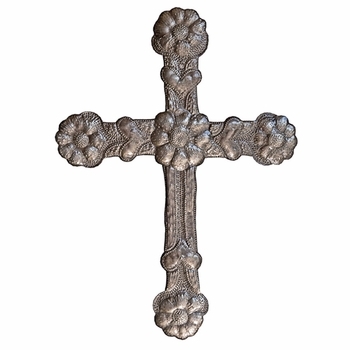 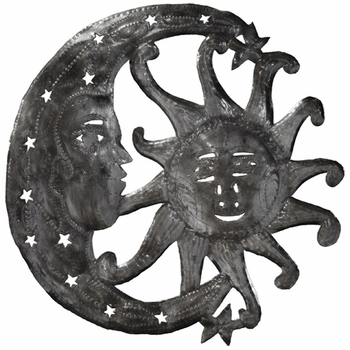 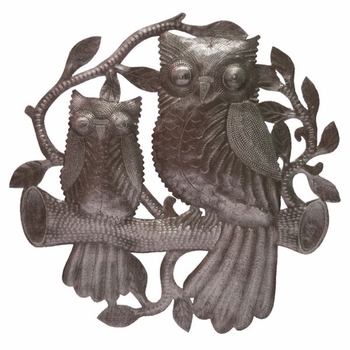 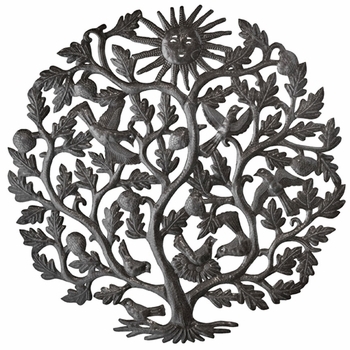 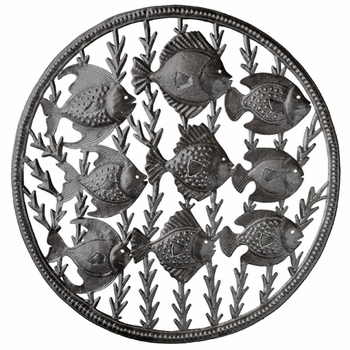 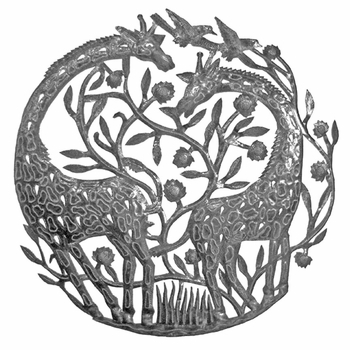 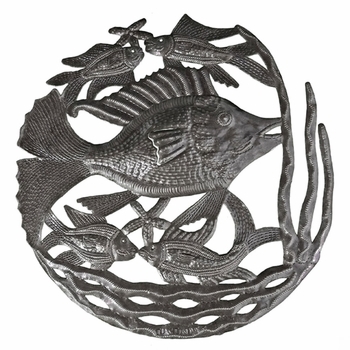 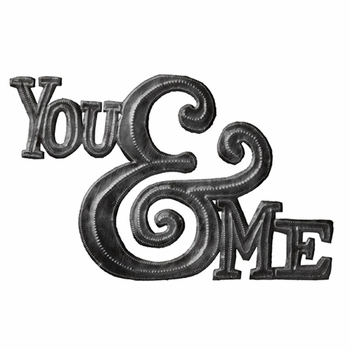 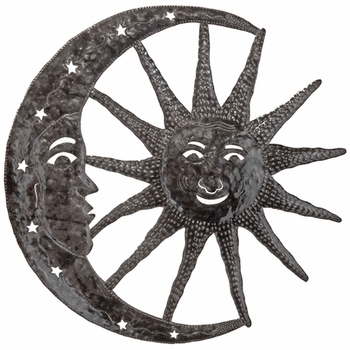 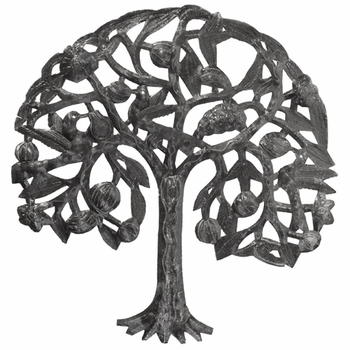 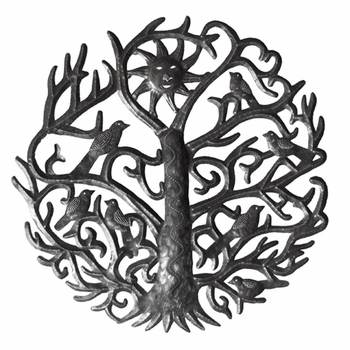 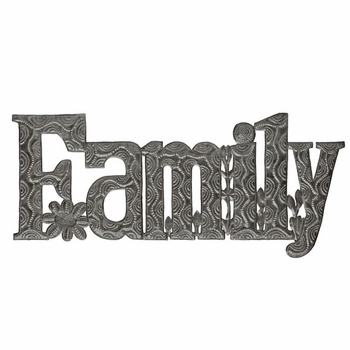 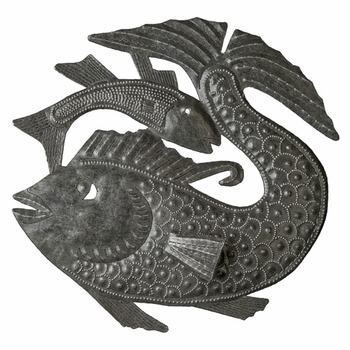 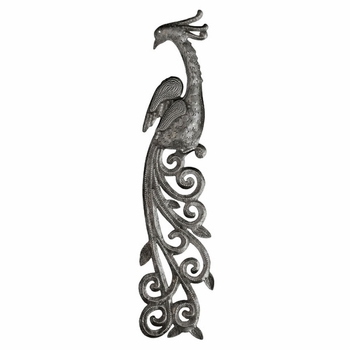 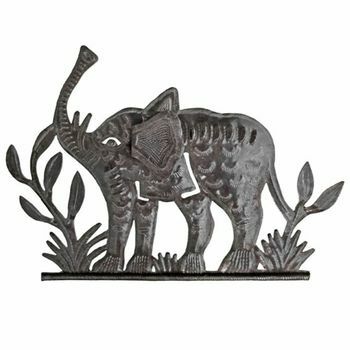 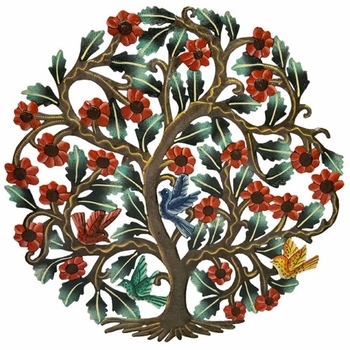 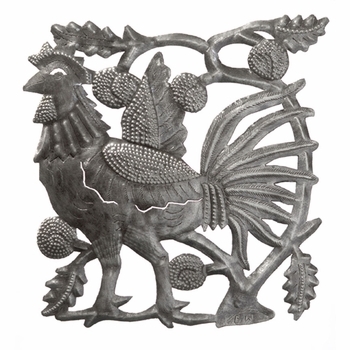 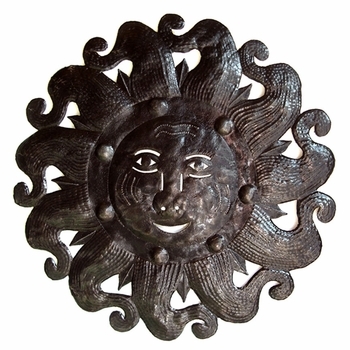 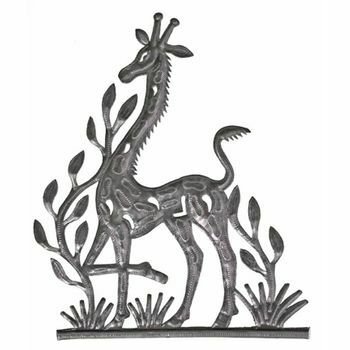 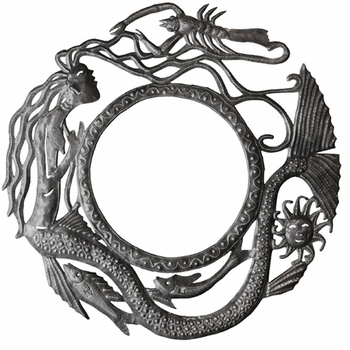 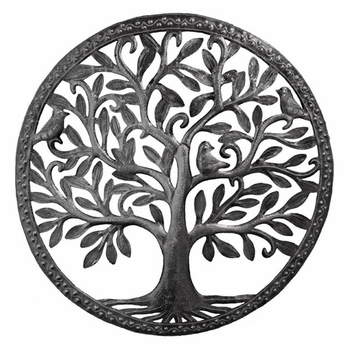 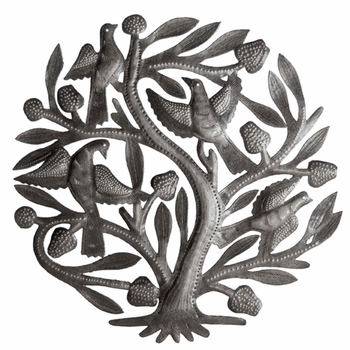 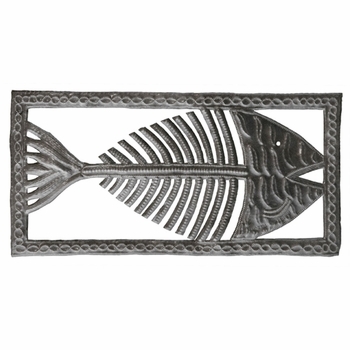 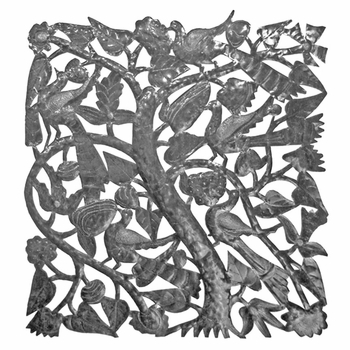 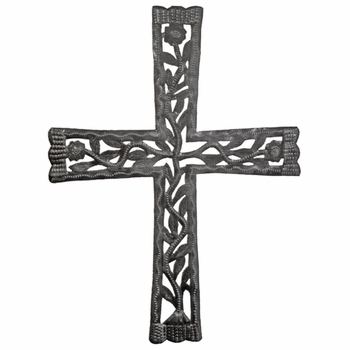 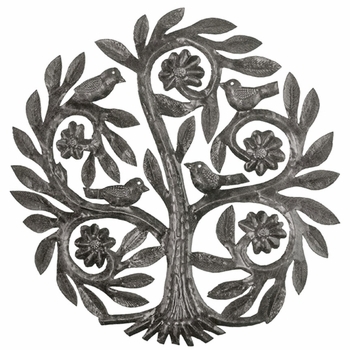 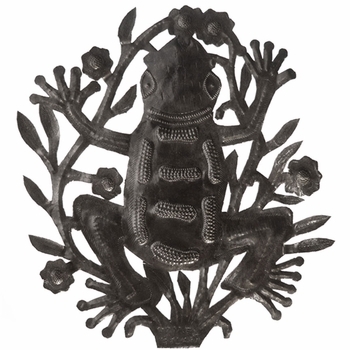 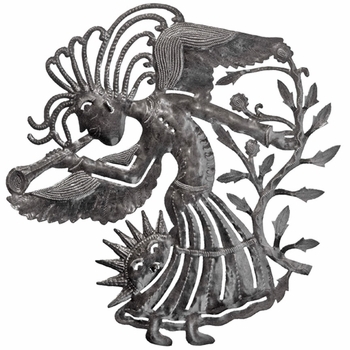 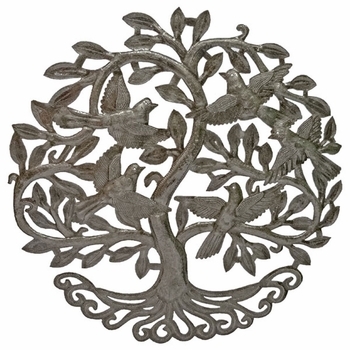 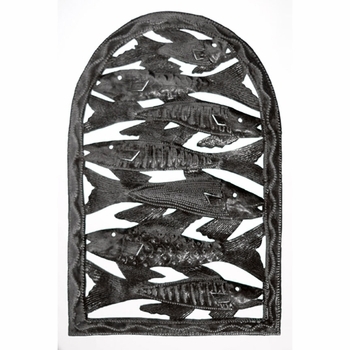 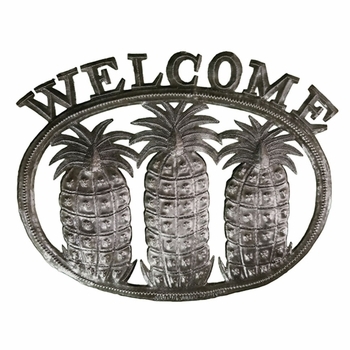 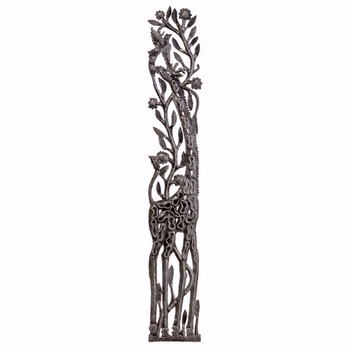 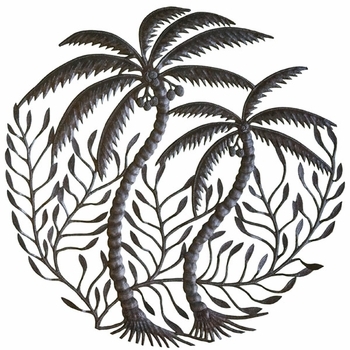 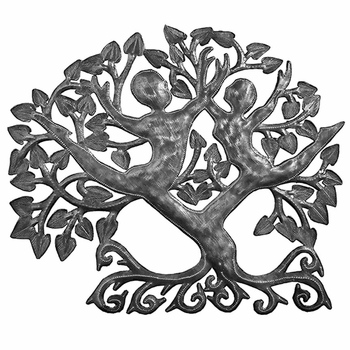 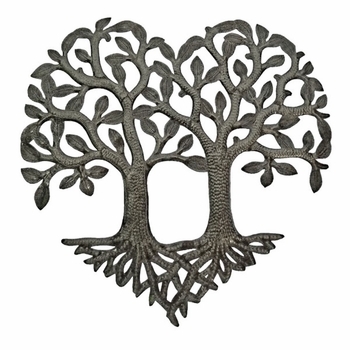 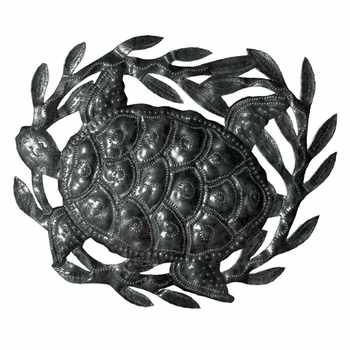 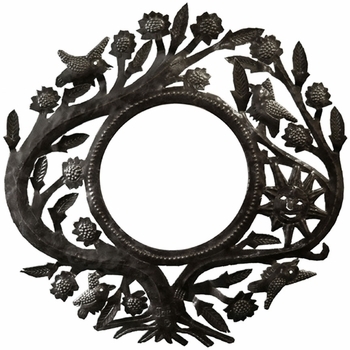 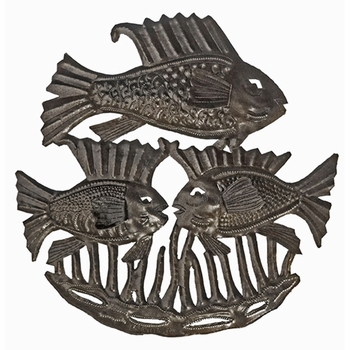 We are often asked if our selection of metal wall art and decorative pieces can be used outdoors. 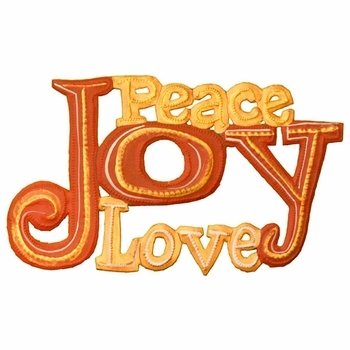 The answer is: certainly and beautifully! 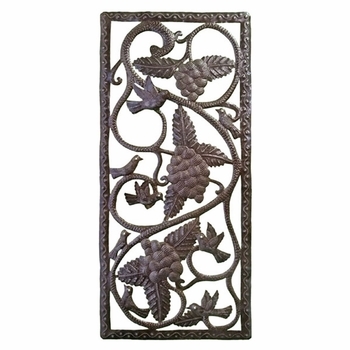 From sculptural butterflies on a garden fence to old Sol on a courtyard wall, the addition of outdoor wall enhances the beauty of outdoor living spaces in much the same way a soothing watercolor anchors the components of a guest room. 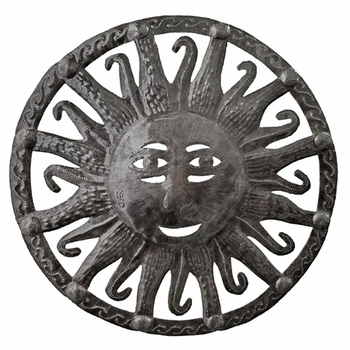 But there are a few things you should know about the effects of sun, wind and water on your exterior artwork; choosing the appropriate material based on your placement preferences can make all the difference. 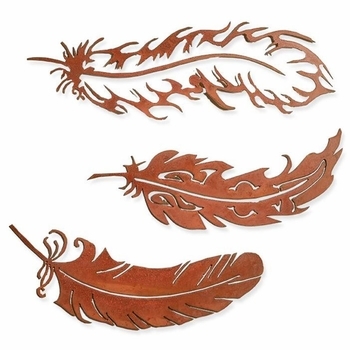 Copper, most often used for roofs, rail caps and temperature gauges, is durable and develops a natural green patina when exposed to the elements. 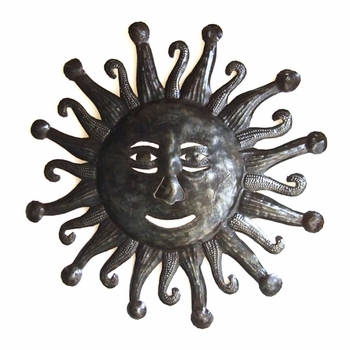 Aluminum is both rust-free and lighter than iron - a fastening bonus - but can oxidize in sea air. 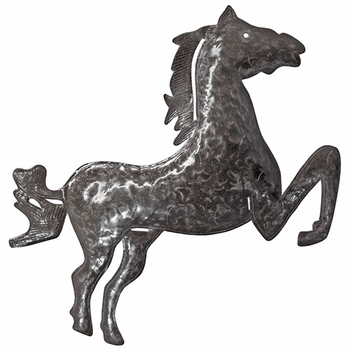 Ferrous metals, such as iron or mild steel, will indeed rust unless coated with lacquer, acrylic or polyurethane clear coat. 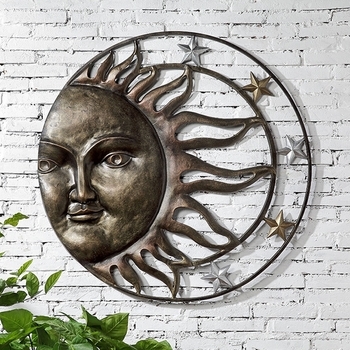 For the most part, outdoor wall art should be mounted, when possible, protected from direct sun light, and rubber washers or bumpers between the piece and the mounting surface will prevent paint scratches or discoloration. 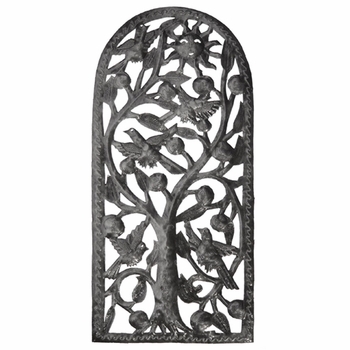 Inspect all outdoor wall decor routinely for dirt and corrosion, clean and dry thoroughly, re-apply protective barriers if necessary. 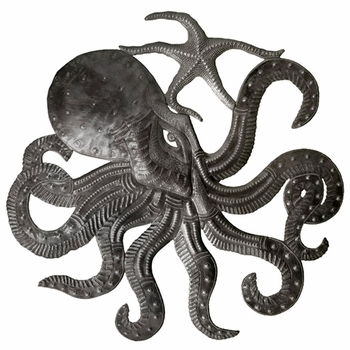 You're a rock star if you're this familiar with heavy metal! 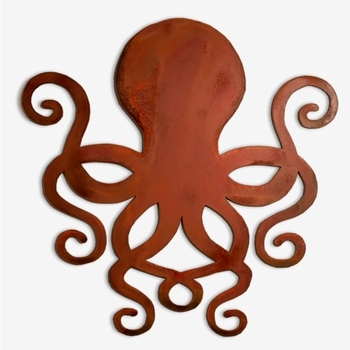 We also salute the purist homeowners who view rust as a must and let nature just take its course. 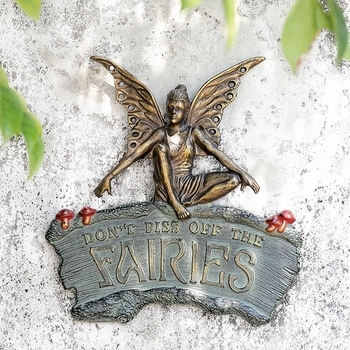 These bold thinkers add artful interest to potting sheds, retaining walls, pool decks and boat houses, as well as infusing their gardens with whimsy. 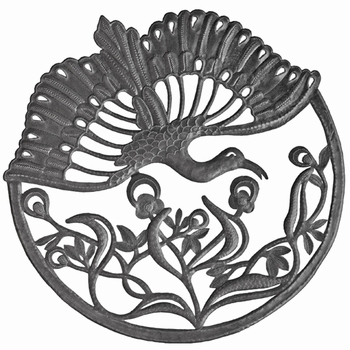 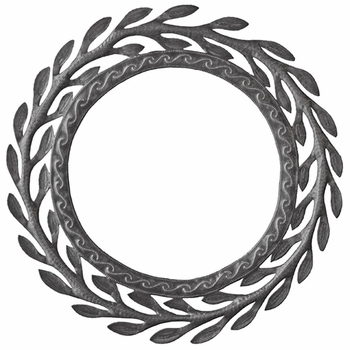 Pioneers of "when in doubt, put it out" will find a myriad of tarnish trainable applications at Iron Accents - in dimensions that range from delicate to dramatic. 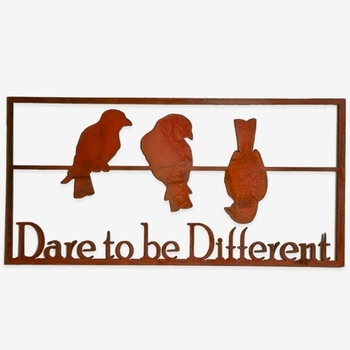 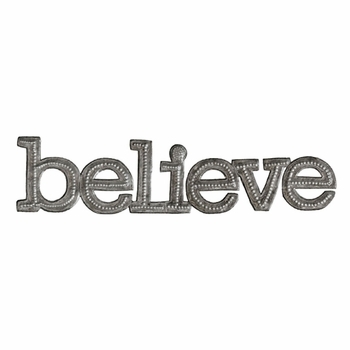 Whatever your inspiration you are sure to find something in the Wall Decor categories on our site.